The classic bike basket ain’t dead. While there are many reasons not to have a basket, they really are the perfect way to carry a few bits without ever having to remember a bag. 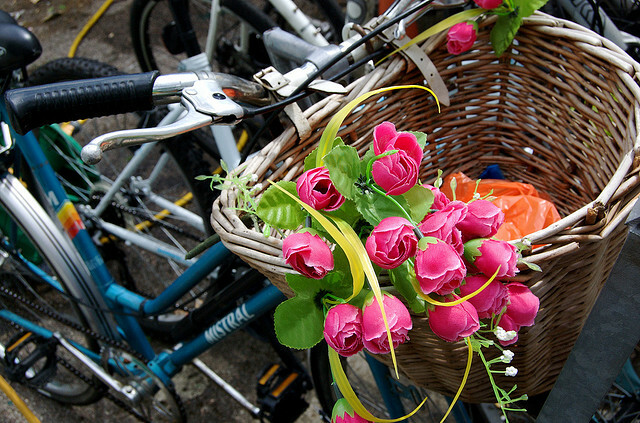 You don’t ever have to remember a basket – it’s always attached to the front of your bike! What’s more, a plush, wicker one can give a bike a really classy vintage look as well. If you are a man you are going to look a bit girly or like you have just ridden out of and Oxbridge university in the 1950’s. Of course, a basket will increase the wind resistance on your bike, but as they’re usually seen on fairly un-aerodynamic town bikes, it’s not that much of an issue. Be careful when your basket is fully loaded as it can make your bike a lot more difficult to steer with all the weight on the handlebars. Unless your bike basket isnt removable remember to bring another bag with you as well – you’ll need to put your shopping into something else to carry it to the door.